Want to transform your marriage? Take an hour to read a book that will change your marriage forever! Are affairs good for a marriage? How a divorce will affect your children. Everyone wants a wonderful marriage and 'The 60 Minute Marriage' lets you know that marriage is more than just romance - sometimes it's a fight to keep it alive. Rob Parsons gives insight into the root of the problems and recommends practical solutions such as sharing with your partner your past hurts, heartbreaks and disappointments. This simple act of open honesty, he says, will help you and your partner put things into context, promote understanding and start the healing. 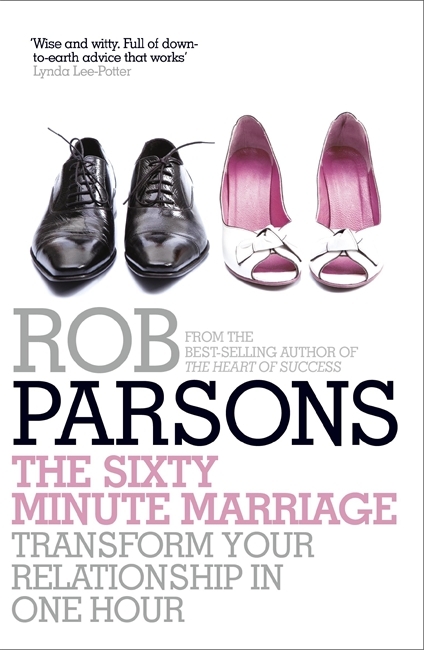 Sixty Minute Marriage by Rob Parsons was published by Hodder & Stoughton in October 2009 and is our 2606th best seller. The ISBN for Sixty Minute Marriage is 9780340995976. Be the first to review Sixty Minute Marriage! Got a question? No problem! Just click here to ask us about Sixty Minute Marriage.